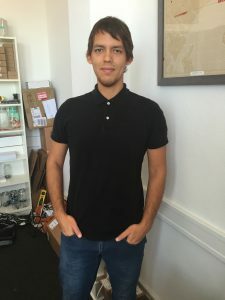 Meet Alex, our support tech! Originally from Venezuela, he moved to the US at a young age. He is currently studying marketing management at Western Governor’s University. He has always been interested in coding and self taught HTML, CSS, Java Script, and most recently the Swift program to create iPhone apps. He is a big fan of music and enjoys playing guitar and piano. Give him a call with your support questions! This entry was posted in Menuat, Software, Technology. Bookmark the permalink.